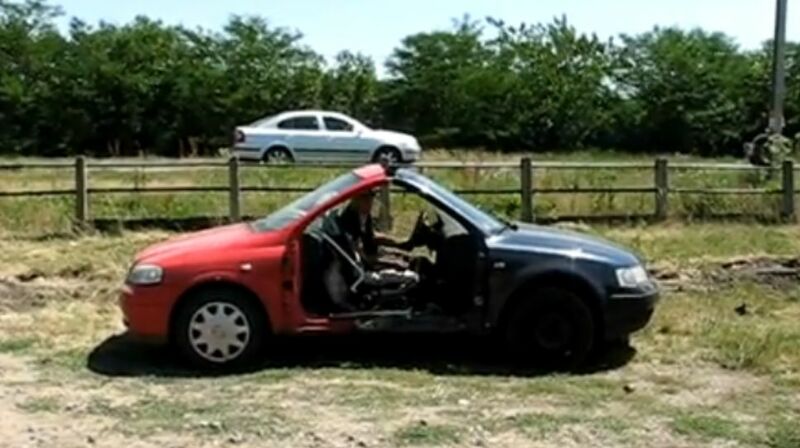 The latest invention of mr. Draghici (Romania) and his german partner is the Fopel car. They welded the front part of an Opel with the front part of a Volkswagen. The result it's an amazing and exotic Fopel car. They say that a better working version will me on the market in the next 3 months. My guess is: they are joking! I know that this was made before on Top Gear but I'm sure that these people didn't watch ever that show, it's just a coincidence.